The Washington Capitals shut out the Chicago Blackhawks 6-0 Friday night to earn their eighth straight win. Washington goalie Braden Holtby saved all 24 shots dealt to him to earn his league-leading sixth shutout of the season. Since Capitals head coach Barry Trotz pulled Holtby on Jan. 3 after allowing three goals in the first period, Holtby has dominated opponents. In his five starts since, Holtby has recorded three shutouts. His Goals Against Average is .6 in that span. The only time Chicago’s offense had any momentum was in the second period. In this middle frame, the Blackhawks had 10 scoring chances, but Holtby stopped all of them. Chicago forward Vinnie Hinostroza scored on Holtby in the second period. However, the referees revoked Hinostoza’s goal because Blackhawks forward Marian Hossa knocked Holtby’s stick out of his hand mid play. During Holtby’s five-game hot streak, the Capitals have not allowed an even-strength goal. Washington has not allowed an even-strength goal in 309:24 of play. 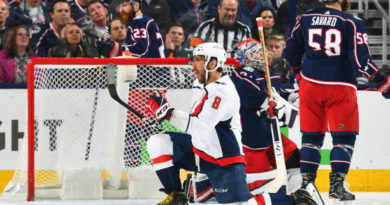 During the six-goal performance, 11 Capitals scored points. Skaters from three of Washington’s four lines scored goals Friday night. 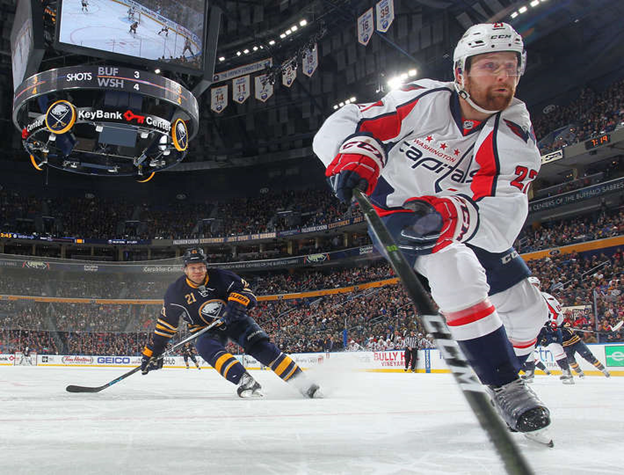 Washington’s fourth line lived up to Trotz’s praise, scoring three goals and six points on the night. Fourth-liner Jay Beagle scored two goals, and fellow lineman Tom Wilson assisted both of them. Along with his assists to Beagle’s strikes, Wilson scored his own goal in the second period. Defenseman Nate Schmidt fed Wilson the puck across the ice as he spun to a stop to shake a defender. 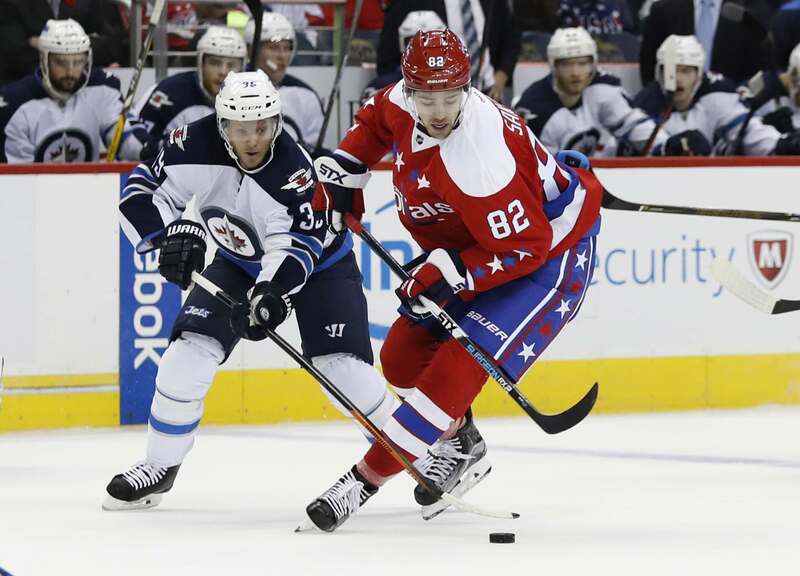 Along with the Capitals’ fourth line, the first also generated considerable production, notching two goals and five points Friday. In the first period, Beagle broke the scoreless tie, and first-liner Nicklas Backstrom scored a follow-up goal :13 later. First-liner T.J. Oshie and third-liner Brett Connolly also scored goals. The Capitals’ offense dominated the entire game. They outshot the Blackhawks 34 to 24 and won 72 percent of the faceoffs. Washington assembled this offensive production without ever going on the power play. Chicago had two power plays in the game, but even then, the Capitals outshot the Blackhawks four to three. After Washington scored five goals on Chicago goalie Corey Crawford, Blackhawks head coach Joel Quenneville pulled him from the game. Crawford saved 25 of the Capitals’ 30 shots during his 48:11 on the ice. Backup goalie Scott Darling replaced Crawford and saved three of the four shots dealt to him. 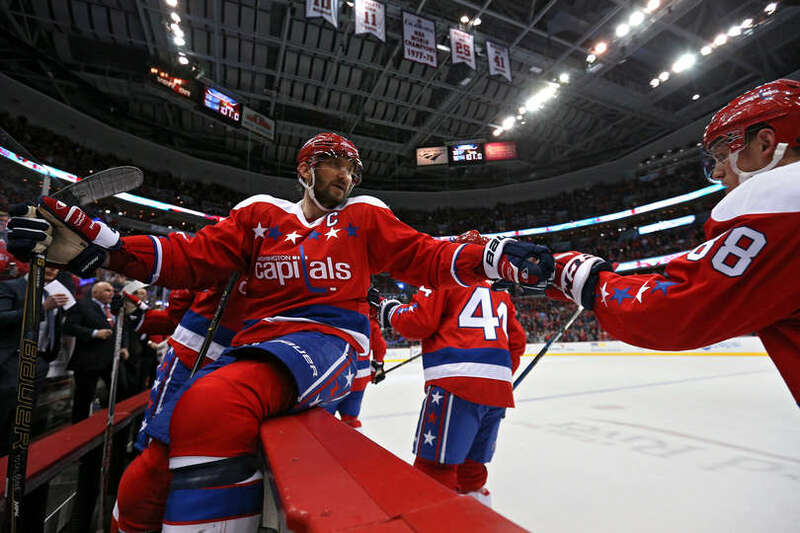 The Capitals improved to 28-9-5 with their seventh straight home win over the Blackhawks. They momentarily overtook the Columbus Blue Jackets for first place in the Metropolitan Division. However, Columbus eventually won its game, so the Capitals returned to second place. The Blackhawks fell to 27-13-5 but remained in first place in the Central Division. Washington will host the Philadelphia Flyers Sunday afternoon. Chicago will host the Minnesota Wild Sunday night.